Thor Hushovd won a chaotic bunch sprint in Saint-Brieuc on Sunday, after late attacks by Fabian Cancellara and Filippo Pozzato were foiled in the final metres of the stage. Hushovd received the perfect lead-out from new Credit Agricole team-mate Mark Renshaw after the lumpy stage finale, complete with a two-kilometre climb, that had all but shattered the peloton. Cancellara made a carbon copy of the late move that has brought him stage wins in the Tour of Switzerland, the 2007 Tour de France and Milan-San Remo, but he ran out of gas with 800 metres to go. Pozatto, the winner at Saint-Brieuc back in 2004, jumped across to his wheel and tried to fend off the bunch but Credit Agricole were in no mood to let him go and the Hushovd opened up with a powerful sprint. Kim Kirchen (Team Columbia) was the only one to match his speed but did not have the final kick to beat the big Norwegian. 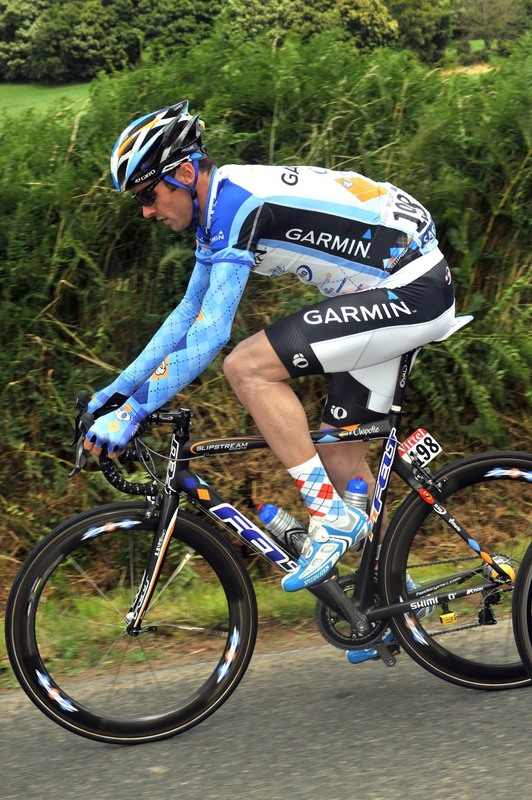 With Kirchen, Gerald Ciolek gave Team Columbia an impressive but disappointing second and third. Kirchen’s reward for second place was the green jersey as leader of the points competition. Mark Cavendish was part of the Team Columbia lead out train until the short sharp climb three kilometres from the finish. He only lost a few places in the lined-out peloton but was not in the sprint and finished 27th, one place behind fellow Brit David Millar (Garmin). Alejandro Valverde (Caisse d’Epargne) finished 11th on the stage and so retained his one-second lead in the overall standings ahead of Kirchen and Oscar Freire (Rabobank). ?It was very tricky with the head winds and the climb at the end, but we did it.? Hushovd said, happy after his win. Stage two went north from Auray to Saint-Brieuc and the strong side winds were expected to cause some splits in the peloton but yet again the main peloton took things steady letting the French riders dominate the early action. Caisse d?Epargne did little work on the front to defend the yellow jersey and so the sprinters? teams lead the chase after Thomas Voeckler (Bouygues Telecom) Sylvain Chavanel (Cofidis). They broke away over the top of the first cat four climb after 23.5km and kept going, building up a six-minute lead. The gap gradually came down and Christophe Moreau and David Lelay went clear of the bunch on the last climb and quickly joined up with Voeckler and Chavanel. They worked together, perhaps dreaming of seeing a French stage win and yellow jersey, but the bunch began to chase them with decision and the gap faded as Saint-Brieuc and the English Channel approached. Chavanel made a late solo move and was the last to be reeled in, almost within sight of the kilometre to go banner, where Cancellara made his move. 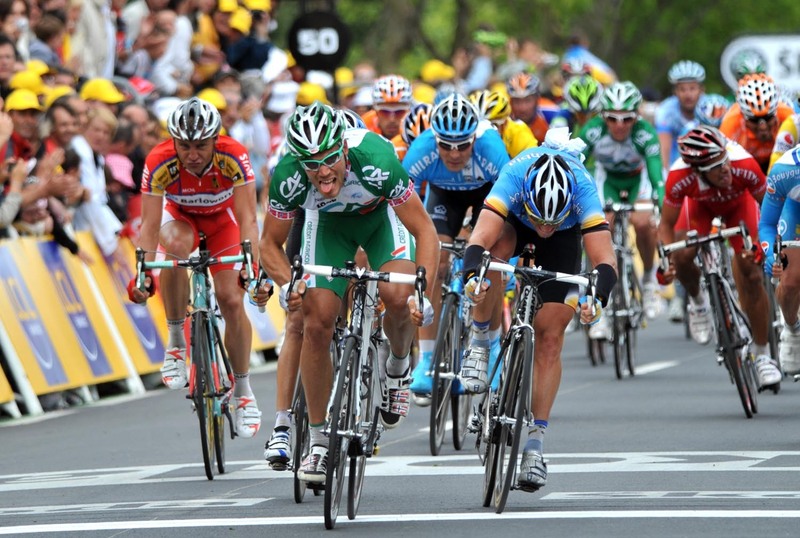 Finally, though, it was Hushovd who emerged at the front and succeeded in taking the sixth Tour stage of his career. Monday’s stage heads due south from Saint Malo to Nantes, flowing through the heart of Brittany. The profile is much flatter than the previous two stages, perhaps playing into the hands of the pure sprinters. You can find full information about stage three in our stage guide. 10. 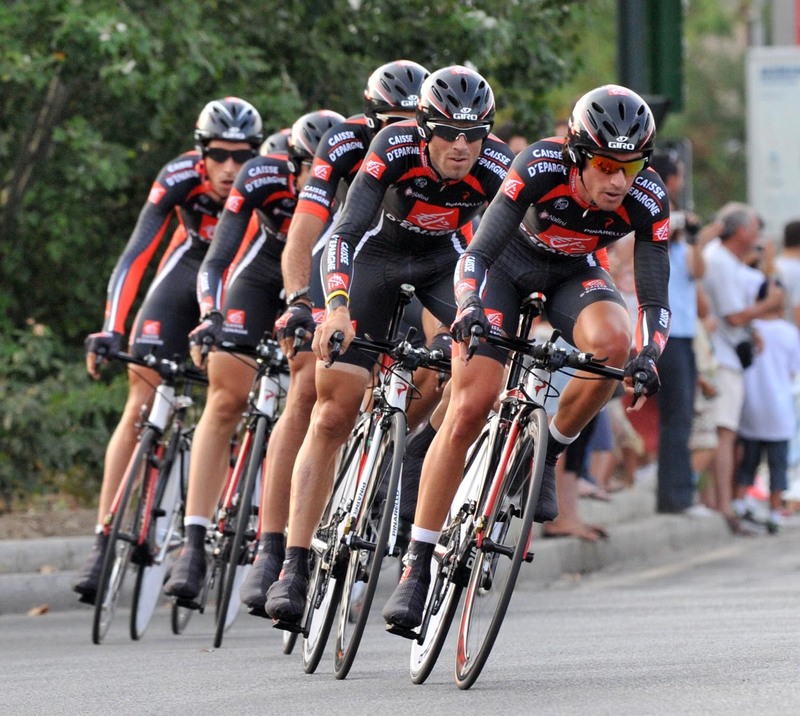 Leonardo Duque (Col) Cofidis all at same time. 10. Filippo Pozzato (Ita) Liquigas all at same time.